Today we are looking at the Arctic Cooling C2 Universal USB charger. It is a universal USB charger that works on voltages from anywhere in the world. At first glance, the C2 Universal USB charger is packaged well. It is sealed in a molded plastic package. The C2 comes with 4 adapters and the main charging unit. That is all you need to charge any USB powered device. The ARCTIC C2 is perfect travel companions for frequent flyers. The 4 AC plugs cover about 150 countries around the world. With 4 USB ports, this charger is ideal for various USB-powered devices. 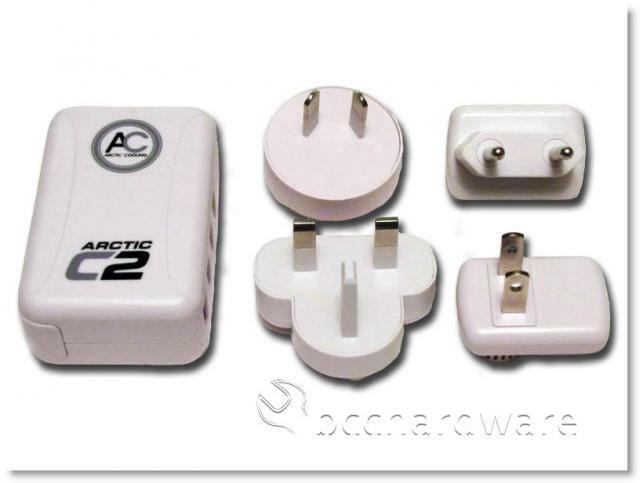 4 AC plugs are supplied with the ARCTIC C2. They can be used worldwide – North and South America, Europe, UK, Middle East, Africa, China, Japan, Australia and more. With full range 100 to 240V input, these chargers automatically, providing users a truly hassle-free charger. 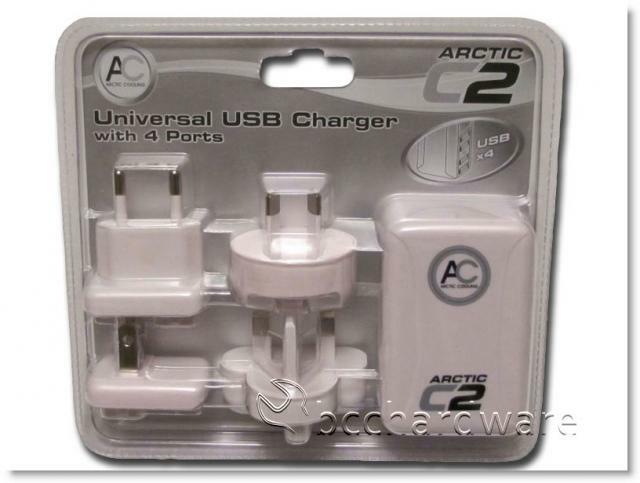 ARCTIC C2 offers 4 ports for multiple charging. Instead of using different power adapters, 4 electronic devices can be charged simultaneously by using the ARCTIC C2. It saves not only space, but also charging time. The ARCTIC C2 is suitable for various USB-powered applications, such as music players (eg MP3 players), handheld game consoles, PDAs, mobile phones and the newly launched ARCTIC NC.